I just picked up one of those snazzy $200 PlayStation 4 Slim Spider-Man Black Friday bundles. It comes with the console, a controller, a copy of Spider-Man, USB, HDMI and power cables and a small piece of audio garbage no one needs. I can’t believe Sony is still including this stupid little mono monstrosity with its console. 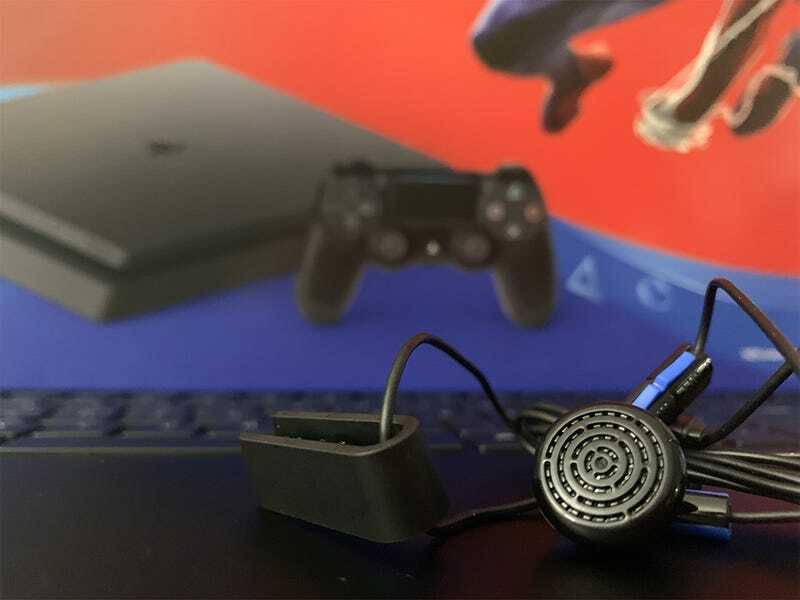 Back when the Xbox One and PlayStation 4 were getting started, the uncomfortable ear bud was better than the almost nothing Microsoft included with its console (it was nearly excluded because Kinect would have been jealous and revolted). Now? It’s trash. I pulled everything out of the PS4 box, sorted it neatly, and then tossed the headset in the garbage can. Generic Diet Mountain Dew is better than the PS4 headset. And then I fished it back out to take pictures and cast shade upon it. Anyone still using this thing? Update 11/24 3:00 P.M.: This post previously indicated the Xbox One didn’t ship with a chat headset. It ALMOST didn’t, but it did. Fahey has been chastised and the article modified.